Added a couple more chaos space marines into the Breacher squad. There’s quite a lot of work involved in each one and I’ve been tempted by other figures. Four down, six from the original set to go. I bought another five shields, I should have bought another ten. I’ve replicated some of the details deployed on the original two figures again on these two. I’ll try and tie the whole squad together at the end. 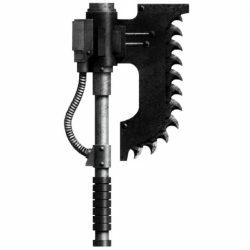 I’ve wanted to add some troops equipped for siege breaching or tactical boarding for some time. A number came up at a good price so I bought 10 figures and regretted immediately not having bought all 20 available. 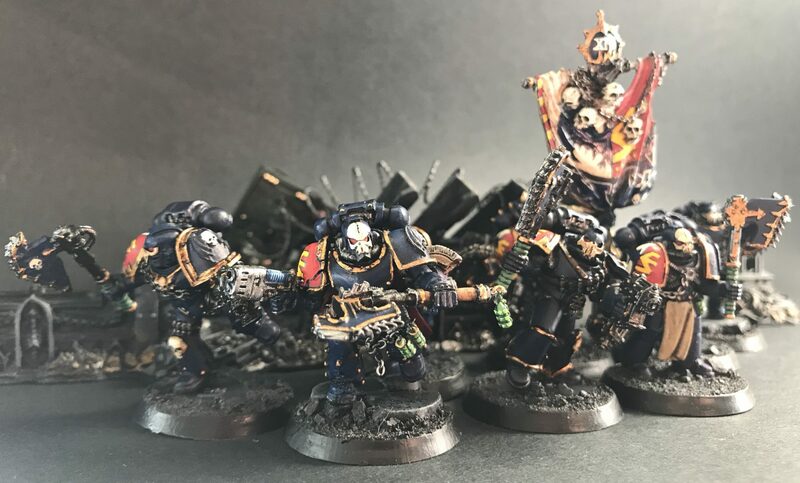 They had all been made up as Ultramarines, so there has been some work to remove those chapter markings and replace with the markings of the Night Lords. I wanted to make the shields suitably chaotic. Each will have an individual design. The paint on the shields needs more work, but I’m going to wait until the whole squad is ready and then do them all in one go. I like the helmet designs on these troops – plant of scope for some embellishment.